Find out what Bike Park Riding is all about, the BIKESKILLS way! The “North Shore” zone in the Woodward Bike Park. One of several skills zones there. 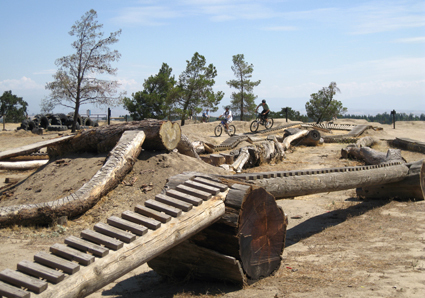 Check out one of the most exciting new directions in off-road cycling, the bike park. 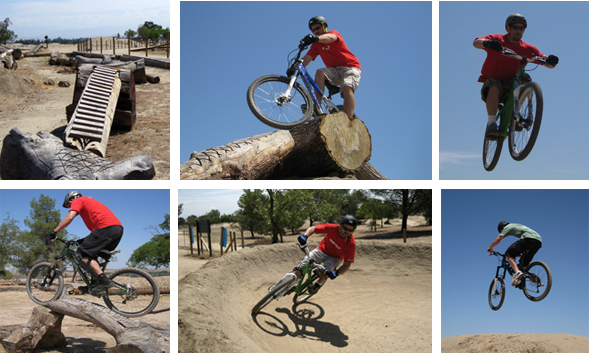 Leading edge parks, like Fresno’s Woodward Bike Park are not just a lot of fun, but a great way to safely build an array of basic to advanced skills you can use anywhere, anytime. And if you’ve been thinking about learning to take that first flight in jumping, curious about pump tracks, this is the place. Bikeskills JP Sickler and his special guest instructors will ensure you get the very best and instruction. Check the schedule for clinic dates and times. September 25, 2010 Time: 10 a.m. – 2 p.m.
October 23, 2010 Time: 10 a.m. – 2 p.m.
November 13, 2010 Time: 10 a.m. – 2 p.m.
December 18, 2010 Time: 10 a.m. – 2 p.m.